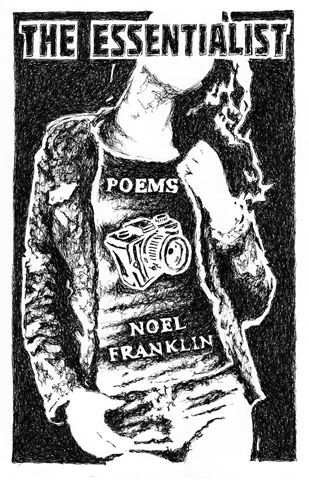 Noel Franklin, cartoonist, print maker, poet, fundraiser, activist. Photo Courtesy of Noel Franklin. Recently, the Seattle Art Museum presented PechaKucha Seattle volume 63, titled Indigenous Futures. PechaKuchas are informal and fun gatherings where creative people get together and present their ideas, works, thoughts – just about anything, really – in fun, relaxed spaces that foster an environment of learning and understanding. It would be easy to think PechaKuchas are all about the presenters and their presentation, but there is something deeper and a more important subtext to each of these events. They are all about togetherness, about coming together as a community to reveal and celebrate the richness and dimension contained within each one of us. They are about fostering a community through encouragement, friendship and celebration. The origins of PechaKucha Nights stem from Tokyo, Japan and have since gone global; they are now happening in over 700 cities around the world. What made PechaKucha Night Seattle volume 63 so special was that it was comprised of all Native artists, writers, producers, performers, and activists presenting on their areas of expertise and exploring the realm of Native ingenuity in all its forms, hence the name Indigenous Futures. 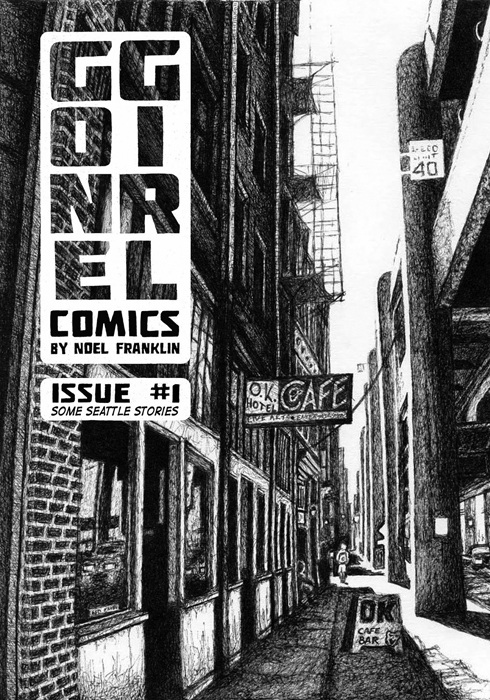 Noel Franklin is many things; a cartoonist, a print maker, a poet, a fundraiser and an activist. She worked with the United Indians of All Tribes Foundations, a foundation to serve as a focal point for the renewal and regeneration of Native Americans in the Greater Seattle area and beyond, to include the Northwest Native Canoe Center in the Lake Union Park masterplan. The Canoe Center will be an active cultural center where hands-on experiences teach visitors about Native American life while supporting the ongoing vibrancy of canoe culture traditions for present and future generations. Noel’s comics have been published in more than five countries, and she is the first female artist to win the Emerald City Comic Con ‘I Heart Comics Art’ award. Noel’s current day job is at Fred Hutchinson Cancer Research Center. Because of her father’s military career, Noel was constantly on the move from city to city. 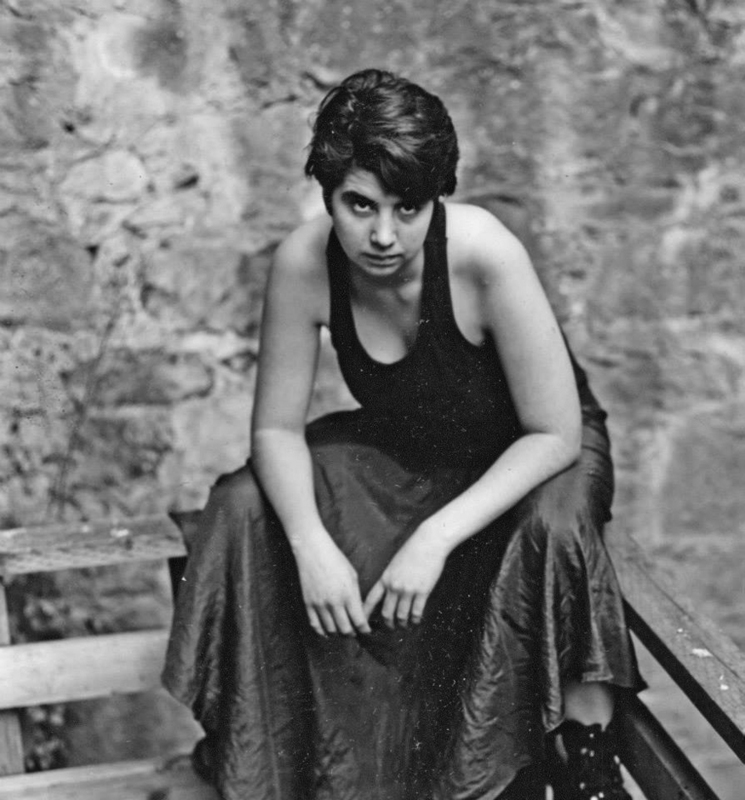 She was unable to make roots in any one location and felt isolated from her Native heritage. Her internal angst and loneliness would manifest itself on her canvas of choice, varying from paper for drawing and painting to stone-cold metal used for art welding. As she dedicated herself to learning about her Native heritage and the culture she was denied as a youth, Noel began to see the world differently. She looked at the world of art and representation through the eyes of a Native woman. She became self-conscious of a key theme that is prominent in the Native American resurgence; the misinterpretations of Native values and identity that act as continued colonization over Native peoples. Noel attributes her unique style, building dark and light shapes from densely knotted lines, to her experience with stone lithography. She also feels that gutters between panels keep the viewer from total immersion in the world she invents in her stories. 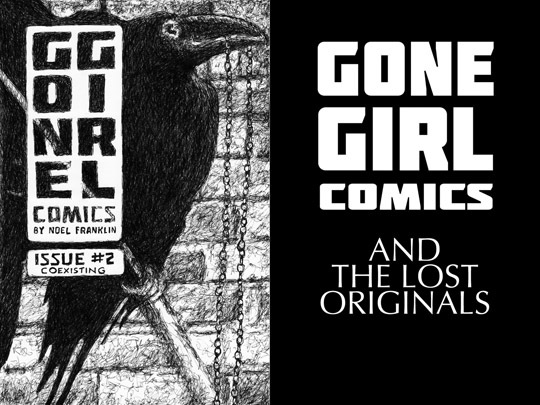 In addition to creating Gone Girl Comics, she is a regular contributor to inkart.org and has multiple journal and anthology publications. Presently, Noel is working towards creating her first graphic novel. 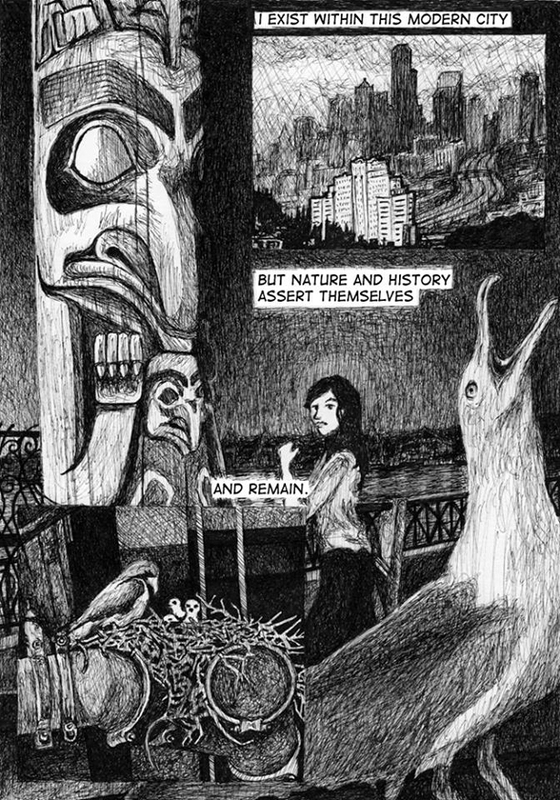 “Page four of a story called Seagulls Screaming is about how Native American culture is present and visible in Seattle,” said Noel. “Native American culture is not going anywhere. You might recognize the totem pole from Victor Steinbrueck Park, located just on the outside of Pike Place Market.